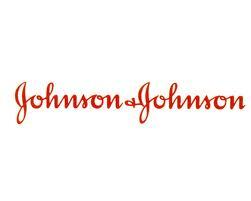 From New Brunswick, N.J., early Tuesday came the quarterly earnings report of Johnson & Johnson (JNJ), which showed revenue missed estimates but the earnings-per-share number beat estimates. The stock moved down more than 1 percent before the open Tuesday, and has slid another 10 cents to $68.35 per share during the morning trading session. The company reported quarterly net profit of $1.41 billion, which was nearly half of the previous $2.78 billion in the same quarter of 2011, and its modified its overall 2012 fiscal-year earnings outlook to $5-$5.07 per share, down from the previous $5.17. The quarter EPS of $1.30 beat estimates by 1 cent, but the overall revenue number of $16.5 billion in the quarter missed expectations by $200 million (1 percent). Overall, the revenue number was down 0.7 percent from the same quarter last year – though the company blamed a 4.2 percent negative impact on currency rates for the decrease. Worldwide consumer sales of $3.6 billion in the quarter was 4.6 percent below Q2 2011 levels, with a 5.2 percent negative currency impact offsetting an overall increase of 0.6 percent. The modified yearly EPS figure included currency rate changes and excluded special items. The news hasn’t gone over well on the Street, which affects hedge funds like Warren Buffet’s Berkshire Hathaway and Ken Fisher’s Fisher Asset Management, both of which has had significant stakes in JNJ. Berkshire owned $1.9 billion in stock at the end of March, while Fisher was in for $710 million – and increased its share stake by 6 percent in the quarter.